The harvest season has finally arrived. 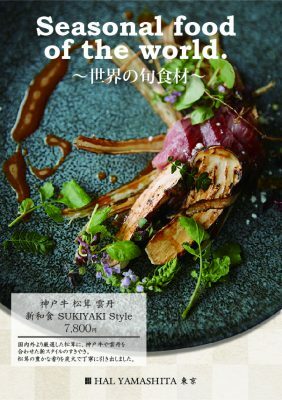 Our seasonal limited menu “charcoal grilled Kobe beef with Matsutake mushrooms and sea urchin, with sukiyaki sauce. Please enjoy the flavors of Autumn.